Ibrox Noise: How close are Rangers to signing Dominic Solanke? How close are Rangers to signing Dominic Solanke? A good acquaintance of mine Derek Johnstone, our Barcelona legend, has recently become an ambassador for Rangers along with the existing ones, Richard Gough and Mark Hately. According to Derek, who writes for the Evening Times, Gerrard could have first opportunity to bring 20-year-old Liverpool’s 6’ 2” striker Dominic Solanke to Ibrox. He is one of many Anfield youngsters struggling for much game-time in the Premier League, so they have to go on loan. It would be another season-long-loan-deal, but if Derek is printing this story, he is certainly in a position to know certain things that other writers aren’t privy to. As an ambassador for Rangers he has many duties to fulfil and he must know a lot more than he lets on. In season 2015-16, Chelsea were Dominic Solanke’s parent club and at only 17, on 4 Aug ’15 he joined Eredivisie club Vitesse on a season-long loan to gain some first-team experience. He managed to play in 26 matches and scored 7 goals, proving the lad had great potential. So much so that on Jul ’17, the Liverpool scouting system persuaded Solanke to move from Chelsea to Merseyside, due to his agent and player agreeing to run down his Chelsea contract to its end. Liverpool had to pay a tribunal-set fee of around £3 million to the London club for his services. Dominic primarily plays as a striker, although he can also operate as either an attacking midfielder or play anywhere in the forward line, which is good for him in a squad situation or rotation. It should give him better opportunities to feature in more games due to his versatility. Reports say that Solanke is a really hard grafter and has a very good physique. He's quick and has an excellent first touch which is invaluable for any top striker to have in his locker. He has only started five Premier League games and scored once since joining Liverpool, and with so many expensive, world class forwards at Anfield, Jürgen knows that first team football is what Dominic really requires for next season, and the bigger and better the team that wants him – should finally get their man. 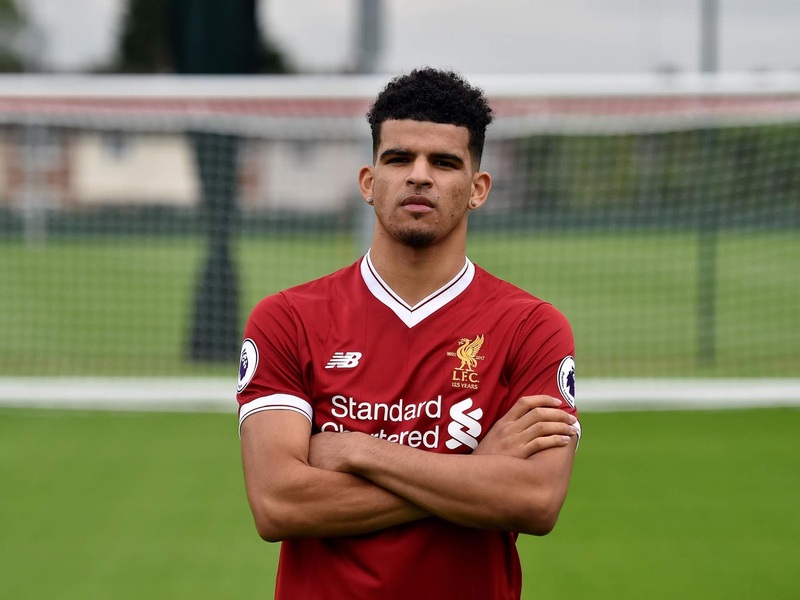 Solanke is aware that there is not another player in the world who could supersede Mo Salah from Liverpool’s starting X1, given his unbelievable form. Ultimately the question is how close are Rangers realistically to signing this impressive young man? Hopefully DJ is on the money. It’s so devoid of any foundation the story can only be described as rumour and conjecture for the sake of a story, if at all it could be called that. We should take it all with a pinch of salt. DJ has mentioned players potentially arriving at Ibrox in his media role from the sublime to ridiculous, however if there is a fragment of truth and any possibility of Solanke ending up at Ibrox, even for a year long loan, I welcome it. We must utilise every aspect in our grasp to bring top class players to Ibrox, whether paying for them in transfer fees, paying development fees, free transfers, loan players or Bosmans to return us into the club we once were. You just have to look across the city these past few years to see how loan players supplemented by astute expenditure on quality players, developing youth players and clever loan players has made them leaps and bounds ahead of any other team in Scotland. They have set the standard by their business acumen, Rangers must emulate them and take it to a higher level, but foremostly we have to match them. ‘Across the city’ have been criticised by EPL sides for taking loans and not playing them. The magnificently talented Roberts and the worlds next superstar Mousonda. Inexperienced talent from other clubs academies can’t be relied upon regardless of how much someone reckons they’re worth in England. Hopefully we are closer to signing Messi than Solanke. You can’t take anything from those stats at that level, the key one is yes he scored 1 goal for Liverpool but that was in 25 appearances, granted they were mostly as a sub, but still, doesn’t have a hallmarks as a prolific striker. if we are not looking at Danny Ings or Sturridge then let’s step away from Liverpool’s youth players to try and enhance our first team. The SPL has eaten up and spat out many so called promising young players, a trend our previous managers have been guilty off, and look what happened to them. Stevie please take note!!! The lad is a Machine! I agree that DJ has said things in the past that were waaaayyyy off the mark, but he is 100% on the money on this one. The sticking point is not Rangers but Liverpool. They are undecided about Solanke till their own tranfers etc are absolute. Personally, I think he would score goals for fun in SPL. Take it with a pinch of salt. Believe it, if and when, it happens.